Have you seen Adrian speak? Leave a review. Adrian’s latest research on over 850,000 employee engagement surveys reveals the science of leadership success, which he distills into an engaging guide in his latest book The Best Team Wins. Adrian’s book, The Orange Revolution, reached the top spot on the Wall Street Journal’s bestseller list. His books have sold over a million copies worldwide and have been translated into thirty languages. 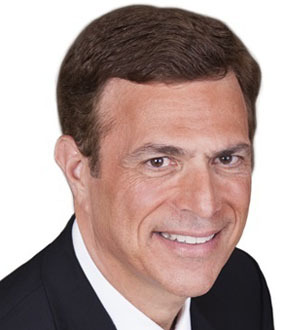 His expertise on leadership has been sought by NBC’s Today Show, CNN, NPR and many other media outlets. His work has been featured in The Economist, the Financial Times, the New York Times, Fortune and the Wall Street Journal. 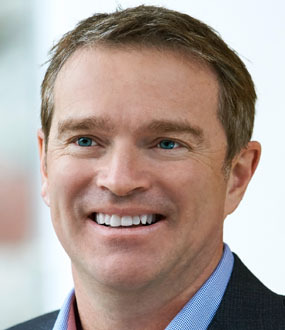 How do today’s best leaders accelerate business results? By engaging their employees to execute on strategy, vision, and values. 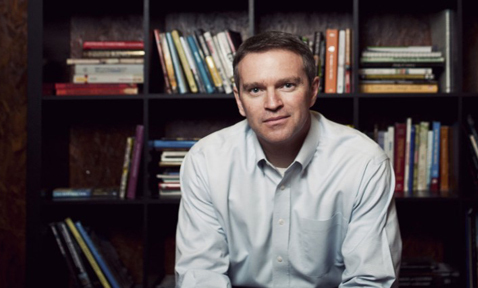 In his challenging, information-packed talks, #1 bestselling leadership author Adrian Gostick provides real solutions on managing change, driving innovation, and leading high-performance teams. "Employee engagement was the Holy Grail, but what we found is that this is not the case any more, particularly in the current economy," explains Adrian Gostick as he analyzes the challenges of changing workplaces. "What we found in the highest performing environments is that employees were not only engaged (which is important) but they were also enabled and energized." Adrian Gostick explains how to introduce the Orange Revolution into your company; through exhaustive analysis of the key traits of the world’s most successful management teams, he explains how you can boost productivity, engagement, loyalty and innovation by taking a number of simple steps. 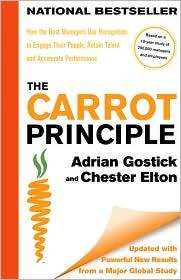 Drawing on the study of over 200,000 people undertaken for the New York Times bestseller The Carrot Principle, Adrian demonstrates how great managers use constructive praise and meaningful rewards to create powerful motivation for their employees. The Research. Based on an 850,000-person study of the most profitable, innovative work teams, New York Times bestselling author Adrian Gostick introduces his audiences to the new science of teamwork—helping leaders deal with the increased speed of change in business, global and remote employees, the rise of the Millennials, the need to work more cross-functionally across departments, and more. The Audience. 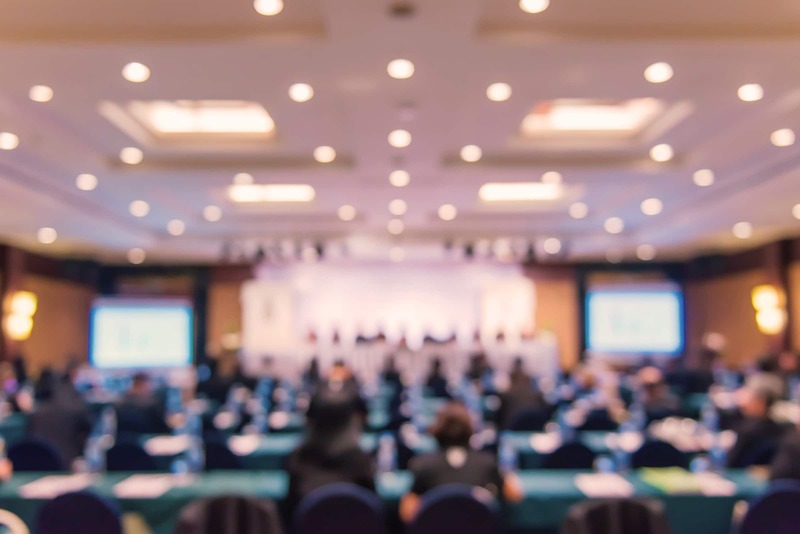 Designed for senior leaders and managers (although often tailored to include all employees), Adrian Gostick has presented The Best Team Wins to corporate audiences and association conferences worldwide. The Research: Based his #1 bestselling book The Carrot Principle, which unveiled a 10-year, 200,000- person survey, Gostick has become the preeminent authority on employee recognition. Now, he introduces us to Carrots 2.0—showing incontrovertible evidence that today’s employees respond best when they are recognized for things they are good at and for those actions where they had to stretch. What Motivates Me: How to lead and retain generations in the workplace. 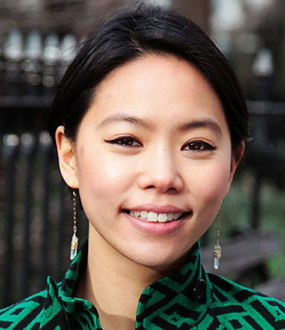 The Dilemma: By 2024, 75 percent of the workforce will be Millennials and Gen Z. The best leaders are retaining more of their key, young talent by creating meaningful career discussions from day one, and are helping younger workers understand their impact on the greater purpose of the organization. The Research: Based on Adrian Gostick and Chester Elton’s bestselling book What Motivates Me with the findings of an 850,000-person research study, and introducing their Primary Research Study of thousands of millennials, the authors identify practical methods to inspire today’s young workers to increase levels of commitment, enhance feelings of inclusion, and speed the process of onboarding. The Result: In addition to learning how to help team members of all generations work together more effectively, leaders in this session will discover ways to reduce employee attrition by helping each employee understand their core motivators and sculpt the nature of their positions to better match those drivers. The truth is very few leaders know what is really motivating to their people or, even if they do, don’t know how to apply that information to day-to-day work. The Audience: Designed for senior leaders, managers, and employee groups, the authors have presented “What Motivates Me” to corporate audiences and associations worldwide. Some groups have participants complete the online Motivators Assessment before the session. The New York Times, USA Today and The Wall Street Journal bestselling authors Chester Elton and Adrian Gostick have once again transformed the corporate playing field with The Orange Revolution, recognized worldwide as the premiere book on how breakthrough teams and teamwork revolutionize a company, a community, and the world. The Orange Revolution Keynote highlights the key traits found inside the world’s most stellar teams. This must-see presentation introduces the simple steps to inspiring an Orange Revolution in your organization—through easy, prescriptive, outcome-based applications that can be implemented today. A New York Times, USA Today and Wall Street Journal bestseller, The Carrot Principle has become the preeminent source on employee engagement and recognition. Based on Gostick and Elton's runaway bestseller, The Carrot Principle keynote reveals the ground-breaking results of one of the most in-depth management studies ever undertaken, showing definitively that the central characteristic of the most successful managers is that they provide their employees with frequent and effective recognition. This breakthrough study of 200,000 people over ten years found dramatically greater business results when managers offered constructive praise and meaningful rewards in ways that powerfully motivated employees to excel. This exceptional presentation introduces the simple steps to becoming a Carrot Principle manager and to building a recognition culture in your organization; it offers a wealth of specific examples, drawn from real-life cases, of ways to do recognition right. Following these simple steps will make you a high-performance leader and take your team to a new level of achievement. Every leader, manager and employee is responsible for creating a culture where people thrive, and want to give their full ingenuity and energy to the enterprise. GOSTICK: I’ve had some speakers tell me they don’t do a lot of pre-work, they customize “during” a presentation. Sorry, but that’s pretty lazy. As a researcher, my goal is to come in and sound like I understand the audience’s troubles, challenges and people issues, while also bringing in data, case studies and ideas that are fresh. I’ll have a few calls with a group beforehand to prepare, by learning their language and business issues. I also pour through through their employee engagement data and anything else they send my way. We do pre-event surveys to uncover specific challenges the organizations are facing so I can speak directly about them in the speech. GOSTICK: Years ago, at one of my first speaking engagements, the CEO got up and absolutely berated his people for half an hour. Saying things like they were worthless, slothful, and incompetent. 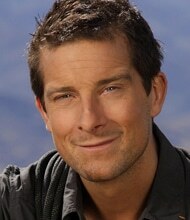 Then, without any fanfare, he said, “Now, here’s your motivational speaker.” Um. Okay. Hi everyone. Thankfully, today I work with a lot of senior-level audiences in some amazing companies, but there’s always something interesting that happens. For instance, I did an engagement just a few weeks ago for a Fortune 10 company, where the organizer was very stressed, so we went through every bit of my presentation many times. I was happy to do it to help her feel comfortable. She explained, “These guys are all PhDs, scientists, engineers, Harvard and Wharton MBAs. They are geniuses.” By the time the presentation rolled around I was getting a little nervous. But you know what, the session started and within five minutes these folks were hooting with laughter and participating. Some were even shouting to have their voices heard on employee engagement. We are all just people. GOSTICK: Most of the audiences I speak with are manager-level or senior leaders. I also address conference audiences. About 20 percent of the time I’ll address an employee group, but my message is more suited to people who lead people. GOSTICK: My favorite subject is “All In.” It’s a message about how to get employees fully engaged, full of how-tos and laughter and takeaways. Sometimes I’m given a little more time and add a few exercises. It’s always interesting to hear from the group members, and I always learn a lot. The message is inspiring and practical at the same time, and I always customize it to the audience I’m speaking to. I’ve flown 2 million miles around the globe and have spoken to audiences from China to Nigeria, from Kuwait to Kalamazoo. In what other job can you take an hour or two and make a difference in 200 people’s lives? GOSTICK: Chester Elton and I wrote our first leadership book more than 15 years ago, and after that the phone just started to ring. It’s a natural extension of our work as writers and researchers, and we love to make audiences laugh and change their behavior. I’ve flown 2 million miles around the globe and have spoken to audiences from China to Nigeria, from Kuwait to Kalamazoo. In what other job can you take an hour or two and make a difference in 200 people’s lives? My favorite emails are a few weeks or even months after a presentation, when a leader emails and says things are better because they have tried my ideas out. GOSTICK: As to humor, if they aren’t laughing they aren’t listening. I had a woman say to me recently that she couldn’t leave to go the bathroom because she was terrified of missing something. Score! I do tell a couple of quick personal stories, but mostly I’m bringing a lot of real case studies from leaders in real companies that faced similar challenges to theirs. They are usually more powerful and relatable for the senior-level audiences I’m speaking to. GOSTICK: What is most rewarding is when I get to work with a client and then they have me come back and speak to a few more of their groups. That’s when we go deep and really start helping them with their employee engagement solutions, when we start to feel we are making a real difference. We’ve had a chance to work with American Express for years now, Bank of America, Danaher, GE, and so many others. How employees must be enabled and energized. The types of recognition that employees value. ""Energized employees know someone cares about their well-being, receive regular recognition for their great work, and have a strong sense of purpose at work."" 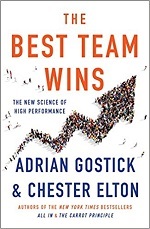 From The New York Times bestselling authors and renowned leadership consultants Adrian Gostick and Chester Elton comes a groundbreaking guide to building high-performance teams. What is the true driver of a thriving organization’s exceptional success? Is it a genius leader? An iron-clad business plan? Gostick and Elton shatter these preconceptions of corporate achievement. Their research shows that breakthrough success is guided by a particular breed of high-performing team that generates its own momentum—an engaged group of colleagues in the trenches, working passionately together to pursue a shared vision. Their research also shows that only 20 percent of teams are working anywhere near this optimal capacity. How can your team become one of them? There is a crisis in business today: the invisible employee. Feeling threatened, ignored, and unappreciated, invisible employees fight back the only way they know how—by staying hidden in the corporate shadows, doing just enough to get by, grumbling about this and that, and passing these techniques along to new workers. After all, why bother shining when no one notices your achievements? Why bother trying when you could be let go in the next batch of layoffs? A business fable packed with hard-won wisdom, The Invisible Employee follows a group of people who live and work together on a mysterious island. In this second edition—updated with new case studies and current survey results—managers learn how to combat one of the most common negative attitudes in business: that smart employees keep their heads down and never do more than is asked. 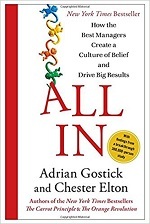 Bestselling authors Adrian Gostick and Chester Elton show how effective leaders change this mind-set by engaging their people in their cause—setting clear goals, encouraging productive behavior, and celebrating every success along the way. The end result is an organization of productive employees who feel noticed, valued, and appreciated. In other words, they feel visible. In today’s competitive environment, all of us are looking for the next big product, the next big capability or solution. But great managers are finding that recognizing people leads to a more engaged workforce and a more successful business. 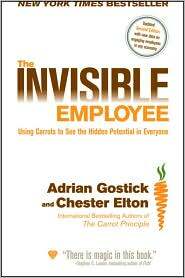 The Invisible Employee shows you how to bring out the hidden potential in your team and your business. The Carrot Principle illustrates that the relationship between recognition and improved business results is highly predictable-it’s proven to work. But it’s not the employee recognition some of us have been using for years. It is recognition done right, recognition combined with four other core traits of effective leadership. Gostick and Elton explain the remarkably simple but powerful methods great managers use to provide their employees with effective recognition, which all managers can easily learn and begin practicing for immediate results. Great recognition doesn’t take time—it can be done in a matter of moments—and it doesn’t take budget-busting amounts of money. This exceptional book, sure to become a modern-day classic, presents the simple steps to becoming a Carrot Principle manager and to building a recognition culture in your organization, offering a wealth of specific examples, culled from real-life cases, of the ways to do recognition right. Following these simple steps will make you a high performance leader and take your team to a new level of achievement.